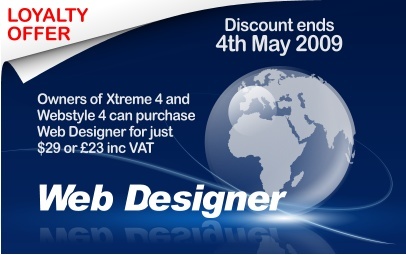 Owners of Xtreme 4/ Xtreme Pro 4 and Webstyle 4 - don't miss out on the discount offer on Web Designer, it ends May 4th, more details below. And the deadline for entries to our current contest is one that everyone should put in their diaries: It's your chance to see your own work featured in the upcoming Guide to Xtreme to be released later this year. Deadline 5th June. This month's tutorial is the first installment in what will be an ever-growing guide to using widgets in Web Designer. 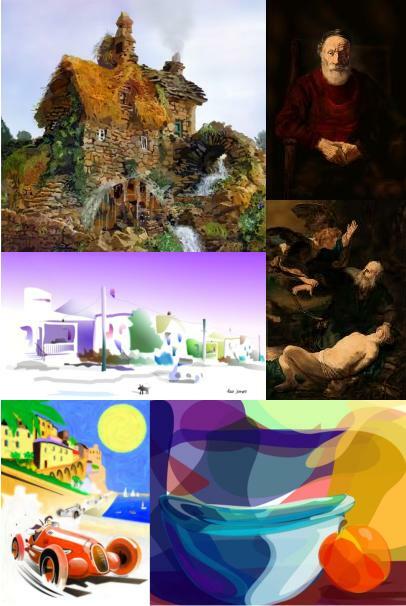 It's a fact that Xara Xtreme artists work in a truly amazing variety of styles. This month we've decided to focus on what you might call 'painterly effects' - artwork in the style of watercolor or oil painting for example. 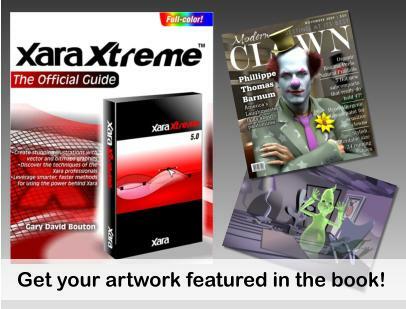 Don't miss out on this unique chance to have your work featured in the upcoming guide to Xara Xtreme, being written as we speak by Gary Bouton for publication in the fall by McGraw Hill. You have until June 15th to create and submit your artwork - a new work on any subject and in any style of your choice, created in Xara Xtreme. Just launched, a new version of Magix 3D (the Magix version of Xara3D 6) in Dutch, just �29.99! Meer informatie:. We've just launched download-only versions of the French & Spanish language Xara Xtreme Pro 4. You can buy them now and be working with Xtreme Pro within minutes. Visit our French language site xara.com/fr or our Spanish site xara.com/es which include free 30 day trial downloads. You can find out the latest information on the different language versions of Xara software - German, French, Spanish, Dutch and Italian - on our website. Customers in the EU will be pleased to see that the English language Xara Xtreme /Xtreme Pro and Web Designer can now be purchased in Euros in our new Euro shop on xara.com (at last!). Instead of our normal Press Reviews slot we thought we'd share some of the great feedback from our Web Designer customers this month. Thanks to everyone who has taken the time to contact us, all encouragement is gratefully received. "Web Designer is like a magic riding mower in a world of push mowers. It's faster, cleaner, more comfortable and makes all the complications of "Expression Web" disappear." "I was up most of the night redesigning one of my sites, and having fun doing it! This tool is absolutely amazing." "I have thousands invested in software that takes years to master but a total beginner could stamp out a complete site in a few hours with Xara Web Designer. I am in total shock!" "This program gives me more creative freedom than I have ever had; for the first time I feel able to create truly professional-quality work. To me it's a cross between Photoshop and Expression Web, yet is does much more. Plus it's really fun to use!" If you want to reset to zero all photo edits you've done in the Photo Tool i.e. so it's back to its start state, just click the Compare button on the Photo Tool InfoBar. 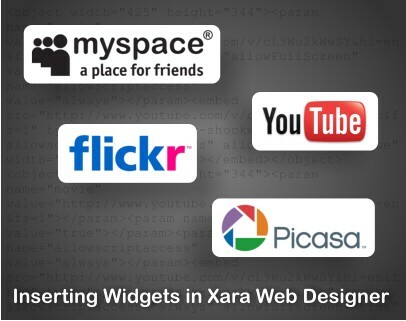 Did you know that you can copy / paste directly between Xara Web Designer and Xara Xtreme. A new movie from Xara showing you how to create photo rollover effects in Xara Web Designer. And a movie by Xhris covering the creation of tables in Xara Web Designer.